Outlaw King has an impressive scream, but for all its volume it never really gets under the skin. The (unofficial) gritty sequel to Braveheart, the film is splattered from head to toe in blood and mud, but lacks the gravity that was afforded by Mel Gibson’s dark destiny. It stabs – repeatedly – without really scratching the surface. 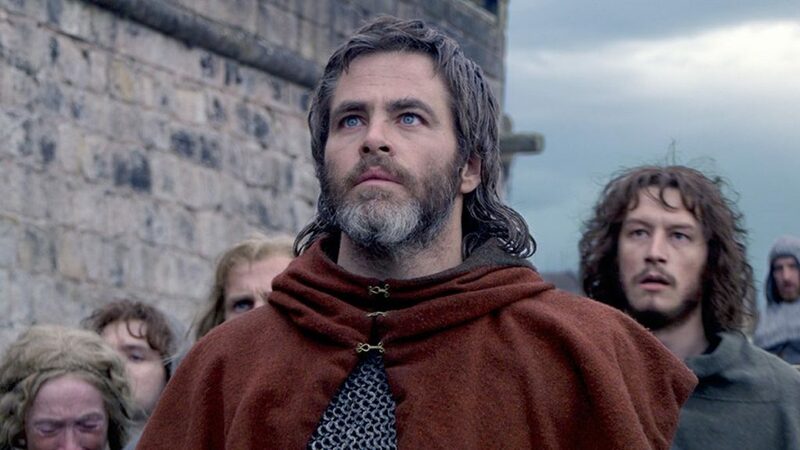 Set in Scotland following William Wallace’s failed revolution against English rule, this cinematic epic from David McKenzie tracks the warpath laid out by Robert Bruce (Chris Pine), the rightful heir to the Scottish throne. Despite having little to offer his followers, Pine drives a hard bargain. Drawing us in with a sturdy Scottish brogue, the American actor hits all the right notes as a hardy highland hero. He’s a leader we are happy to rally behind. As an added bonus, Aaron Taylor Johnson puts in a delightfully feral performance as one of his loyal followers – his battle cries are as wild as they come. But as hard as they try, the cast cannot draw complexity from a shallow and flatly functional screenplay. The action is all machismo and little message; motivations are not fully explored, nor are the social context or the psychological consequences of repeated slaughter. The movie never drags us down into the mire of morality, and thus the rage behind its savage cry doesn’t quite connect. The one female character of note, Elizabeth (Florence Pugh), shows great promise before being locked away for most of the film. Although, admittedly, the picture is a historical drama, it wasn’t necessary to tell the tale as if recounting a straight chronology of events from a history book. All this being said, it doesn’t stop the movie from being fun and, at times, funny. Naturally, the feature appeals to man’s deep-rooted idolisation of freedom; we are all rooting for the underdog and the well-choreographed fight sequences immerse us in their struggles. The cinematography is rich and evocative. The vast, moody shots of the Scottish landscape envelop us in crystal-clear lochs and misty mountains; there’s no wonder the men want it back. 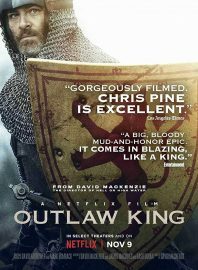 Unfortunately, though it’s not short on entertainment value, Outlaw King wastes a talented cast by substituting real substance for style and spectacle. Outlaw King is released on Netflix on 9th November 2018..